The Jaguars have signed a total of 17 undrafted free agents following last weekends draft. This is not unexpected as the Jaguars intent to run a purely rookie mini camp in the coming weeks. Jaguars GM Gene Smith always does a lot of scouting at small schools and that is apparent in this list of signings. 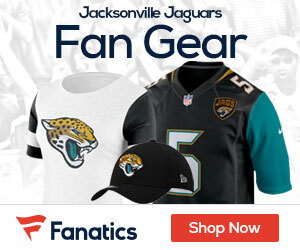 The Jaguars will probably bring more players in on a try out basis for the upcoming mini camp.